We are a Charlotte, North Carolina glass design business, dedicated to providing custom, fused and mosaic glass products to residences, restaurants and commercial businesses. We combine our artistic talents and experienced glass cutting skills to produce custom glass products with applications for kitchen backsplashes, accent tiles, borders, cabinet panels, fireplace surrounds, wall art and murals, furniture, table tops, backlit backsplashes and bar fronts, vases, platters, wall sconces andother lighting applications. We are not geographically restrained as we sell our products throughout the country. We pack and ship our own product to assure a safe delivery. 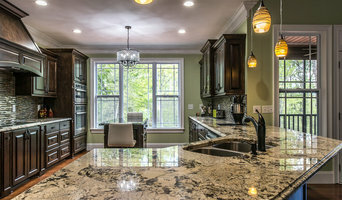 York County's Trusted Kitchen Design + Remodeling Showroom! Caesarstone quartz surfaces are the ultimate combination of nature and technology. Nonporous, scratch resistant and highly resistant to stains, Caesarstone retains its beauty without sealants or waxes and is practically maintenance-free. Caesarstone quartz surfaces are exquisitely designed to offer a diverse range of applications, including kitchen and bathroom countertops and backsplashes, shower and tub surrounds, interior wall cladding, table and desktops and more. Wherever your design imagination takes you, we’ll be there. Over the course of a decade, East Coast Granite & Tile has installed more than 25,000 granite, marble and quartz projects in both North and South Carolina. Our 20 plus locations have access to thousands of stone slabs and are ready to deliver a quality installation at any given time. Our design specialists and installation technicians are experts in stone countertops and can provide you with the very best advice on how to proceed. Not only do we offer stone countertops of superior quality, we also install them to the highest industry standards. Why settle for second best when the team at East Coast Granite & Tile stands ready to help you make the best choice for your home? Family owned and operated since its founding, East Coast Granite & Tile is committed to exceeding our customers' expectations. At the top of our list is turning every dream kitchen into reality – and making it as effortless and painless for the client. Our design staff and installation technicians are extremely well-qualified to offer guidance and solutions. At East Coast Granite & Tile, we are completely confident in our stone countertop installations. The workmanship on all of them is guaranteed for one year. So if you are looking for the smoothest and most seamless buying and installation experience, contact us at info@eastcoast-granite.com or call us at 864-574-6498. A family owned and operated business in Fort Mill, South Carolina since October 2006, the Cardona family has been in the tile and stone business for over 18 years, specializing in selling and installing ceramic and porcelain tile, granite, marble, travertine, slate & hardwood floors. Backed by a guarantee of 100% customer satisfaction, we design, install, and service a variety of tile and natural stone from everywhere in your home – kitchens, bathrooms, patios, decks, foyers, fireplaces, countertops, backsplashes, etc. We provide the knowledge and professionalism that allows us to ensure that every detail is taken care of from start to finish. Carolina Tile and Stone Inc., is a family run tile studio in the Charlotte area, centrally located in Cornelius, NC. Supplying the finest tiles from around the world, we are the regional leader in design, sales, and installation. Our professional staff will assist you in choosing the right tile for your new home or renovation from a selection of stone, glass, metal and custom-made, handcrafted tiles. 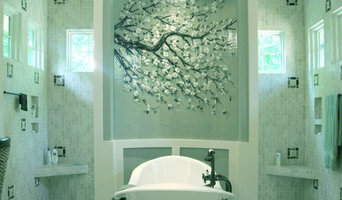 The premier custom tile specialist of Charlotte, NC and surrounding areas. WHAT WE DO. We strive to make a positive difference to our customers’ lives by providing cast stone fireplace manufacturing and installation services in a way that is focused on the client, which leads us to truly aspirational products that are to taste and project needs. WHAT WE ACHIEVE. Cast stone that is crafted from the finest raw materials and assembled with scrupulous attention to detail. Every component is designed, developed and produced in-house to the most exacting standards. AT THE END. Arch Casting stone is crafted to last. Designed for a stress free experience not only through completion of your project, but decades after. We are the third generation of our family to provide stone and tile products and services to the Carolinas. We would sincerely appreciate the opportunity to earn your business. Let us show you why our family has been serving the Carolinas for three generations. It’s very simple – “Golden Rule” service with top quality materials and installation. Since 1939, this philosophy is what made our grandparents and parents company, Renfrow Tile, so successful. We carry on this way of doing business at Harkey Tile & Stone. Our experienced professionals not only offer quality service and the tools to make your next project a breeze but will also ensure every detail of your project is the way you envisioned. With our step-by-step, personalized approach, we will create a beautifully unique addition to your home. Visit our showroom today where our experienced design consultants can help and guide you in your selection process. At Cadenza Granite & Marble we strive for perfection in everything we do. Granite, Marble and Engineered Quartz, the most technologically advanced fabrication shop creates absolute magic using these materials providing you, our customer, the dream kitchens and baths you never thought affordable. Cadenza is redefining not only counter tops but also the luxury counter top market. These products are hand built at our headquarters and manufacturing plant in Concord, NC where cutting-edge technology and traditional craftsmanship skills come together. Maintaining close links with Designers, Architects and Kitchen and Bath Dealers we continue to grow and push the envelope providing a level of service one would only expect from an industry leader. We service the Charlotte metro area. Cadenza Granite is open from 8:30am to 5:00pm Monday thru Friday. Ask us about your Countertop Needs today! Whether you’re looking for granite, marble, quartz or green / recycled countertops, the team at Legacy Countertops can help transform your home into the one you've always dreamed of. 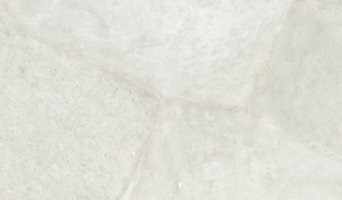 We have a great selection of slabs and remnants in hundreds of colors and styles to choose from, as well as years of experience and extensive knowledge in every facet of natural stone from quarry to install, Plus, we offer affordable options to fit every budget, the highest quality product and excellent customer service. We've MOVED! Our New Showroom is located in Charlotte, NC, just 10 minutes from our old Pineville location. Call us or stop by today for a FREE Estimate! 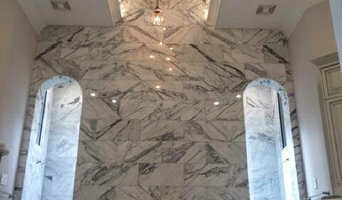 We offer design, fabrication, installation & repair of granite, marble and quartz counter tops. From kitchens to bathrooms to bar tops & fireplaces we offer any solution possible for your counter project. Integrity Marble & Granite has become the premier stone fabrication company in the western region of North and South Carolina. We specialize in custom granite, marble, and natural stone fabrication, installation, and restoration with emphasis on high quality work and excellence in customer service. Our Design Center and KOHLER® Showroom features vanities, decorative accessories, and bathroom and kitchen fixtures. Visit our Gallery of works to see how elegant your home can become with our products. If it involves tile, stone or another countertop material, odds are this pro can tackle the job. With comprehensive knowledge of which surfaces will work best in various locations within the home, South Carolina tile, stone and countertop contractors can help you select the ideal material for the intended application. Some focus on kitchens and bathrooms, while others handle outdoor projects, such as walkways. In addition to basic surfaces, many York, SC tile, stone and countertop contractors can create and install murals and mosaics, as well as add decorative edge treatments to countertops. They also repair or replace surfaces in the event of chips, cracks, stains or other damage. Many tile, stone and countertop professionals also install shower pans, radiant-heat flooring systems and other common components of surfacing jobs, often working in tandem with York, SC plumbers or other professionals. Here are some related professionals and vendors to complement the work of tile, stone & countertops: Interior Designers & Decorators, Architects & Building Designers, General Contractors, Kitchen & Bath Designers, Design-Build Firms. Find a tile, stone and countertop contractor on Houzz. 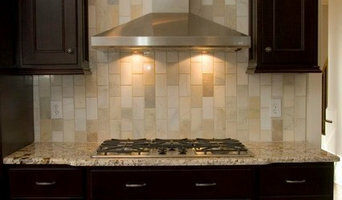 Narrow your search in the Professionals section of the website to York, SC tile, stone and countertops. You can also look through York, SC photos to find tile, stone and countertop projects you like, then contact the contractor who worked on it.